Get off the beaten path and explore the hidden beauties within the Trinity Forest by horseback! 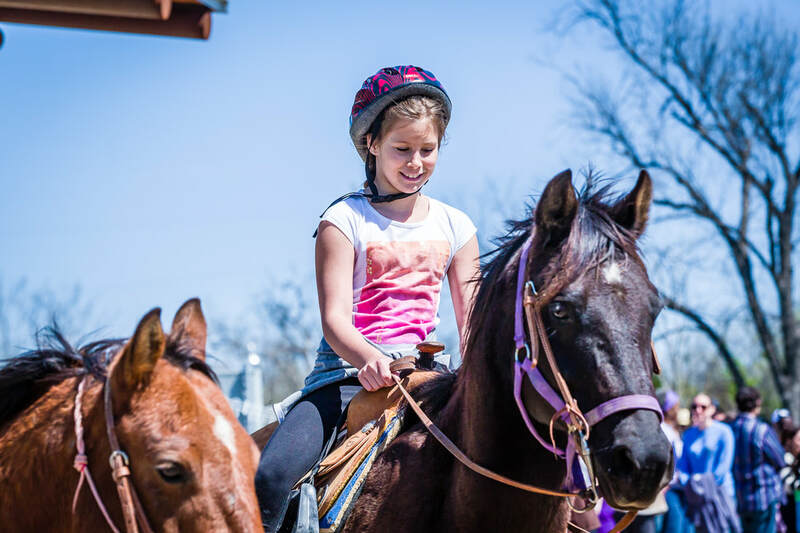 River Ranch has it all when it comes to trail ridin' at the Texas Horse Park. Let us saddle up a horse just for you and then get ready to take an awesome ride. No experience required. So come get away and enjoy the sights and sounds of nature from atop a horse! Enjoy our lush meadows and tree lined trails. Nothing soothes the soul like hearing the wind through the trees and the locust and birds serenading you. 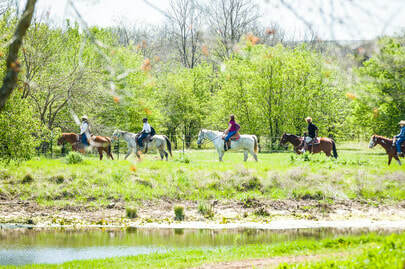 We offer trail rides year round, weather permitting. Trail Rides are offered beginning at age 9 with a max weight of 240lbs. For those that are under age 9, we have lessons or pony rides as a great way to start learning how to be ready for the trail! Trail Rides are by appointment so please call ahead. We will still do our best to accommodate walk-ins. Special event trail ride options will vary. We are located in the floodplain so be sure to call ahead to check the weather and trail conditions. $15 for a 10 minute pony ride. Pony Rides are by appointment, so please call ahead. We will still do our best to accommodate walk-ins.